Retail companies sell their products directly to the consumer while wholesale companies sell (often at a wholesale or discounted rate) to other businesses. Unlikely private companies which are owned by just one or a few individuals or holding companies, publicly traded companies sell shares to anyone who cares to buy them. Only publicly traded companies are listed on the stock exchange. What Is a Publicly Traded Internet Retail Company? A publicly traded company of any kind sells its shares through the stock market to anyone who cares to buy them. Selling shares is an important method for raising funds. Buyers own a piece of the company; if the company does well, they make money and if the company does poorly buyers lose money. Only larger retail companies sell shares, for several reasons. Publicly owned companies are under much closer scrutiny than private companies. The Securities and Exchange Commission places restrictions on publicly owned companies, requires audits, and enforces fairly strict regulations. Thus, it can be expensive and complex to become a publicly traded company. Today, virtually every retail company has an internet component, and every internet retailer has a brick-and-mortar component. Even consumers who shop at brick-and-mortar stores such as Target or Macys also shop online. 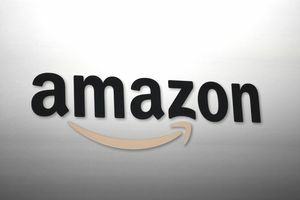 And even companies like Amazon that have no storefronts must have distribution centers, offices, and other facilities where they actually manage their business, store their products, maintain their vehicles, and so forth. They have fewer challenges with issues such as physical security, shoplifting, stocking shelves, parking, zoning, or other concerns related to the construction and maintenance of physical buildings. This is an extensive list of publicly traded U.S. Internet retail e-commerce, catalog, and direct sales companies along with their stock exchange symbols. These are the retail companies that sell products to consumers at retail prices using online storefronts, online streaming, and other techniques that do not require physical brick-and-mortar points of sale. The symbols next to each company name are used to denote the company in reports of sales, earnings, or losses. The symbols are used in online stock reports, in newspapers, and in other descriptions of the company and its business dealings.